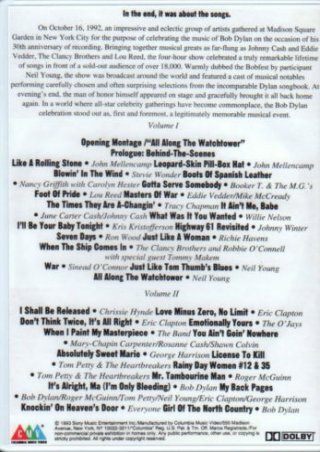 This is a page of VHS and DVD items formerly included in the main list which were or are being sold legally at the time in their own countries, but which have been challenged by contributors. I have therefore moved them here to this page. 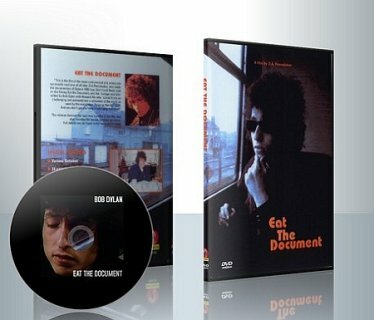 I've also added all the unauthorised DVD documentaries about Bob that have appeared in droves in the 2000s. I have only used an R- number where the performance on the questionable item is officially released elsewhere, performances exclusive to these questionable items now have their own Q- numbers. For Questionable audio releases, see here. These are unauthorised DVDs made from tape sources. For the original Apple album release and subsequent CD releases, see 1972. 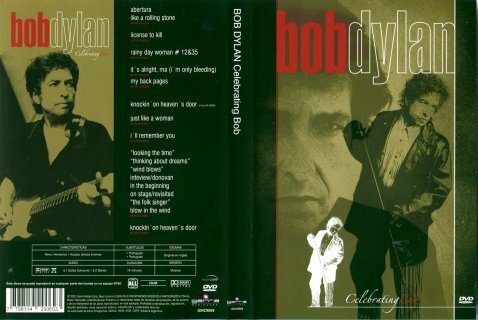 For the remastered CD version with a bonus track, see 2005. For the original VHS release, see VHS & DVD 1970s. 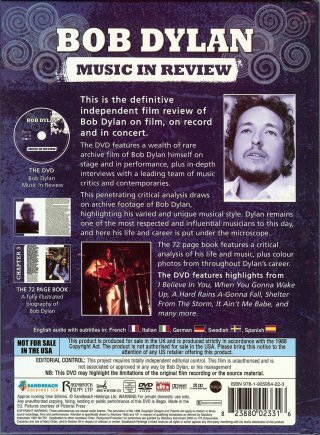 For the expanded 2DVD edition released in the USA and UK on 24 Oct 2005, which includes new Dylan material, see VHS & DVD 2000s Part 3. 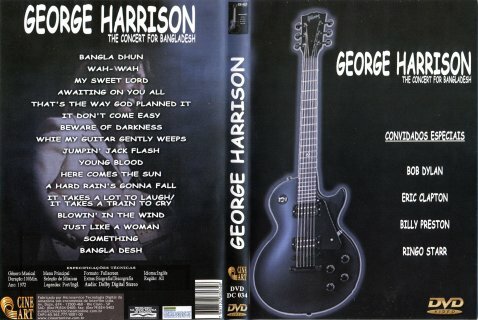 Cine Art DVD DC 034 (Brazil) (my copy) All songs recorded live with George Harrison, Leon Russell and Ringo Starr, Madison Square Garden, New York, 1 Aug 1971 (evening show). Thanks to Alexandre Froemming for the Brazilian DVD shown on the left. This is a Region 0 release, almost certainly unauthorised by Paramount. Signed photo of Bob, scan by Yan Friis This video was legal in Italy at the time of release; however Larry Crum informs me it is almost certainly unauthorised. 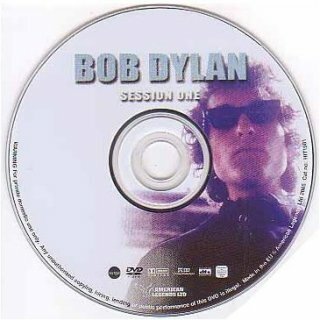 Andrea Brillo from Italy informs me he also has this material on another 1989 Italian commercial video called just Bob Dylan, AVOFILM cod. 3174, but it is just 30 minutes in length and does not include Q-0029. 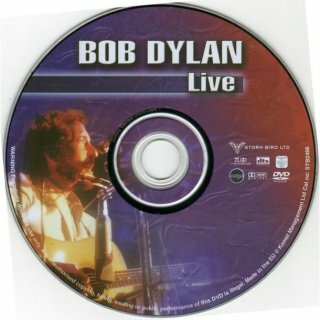 Scans of the Tour Europeo - Arena Di Verona video required!. 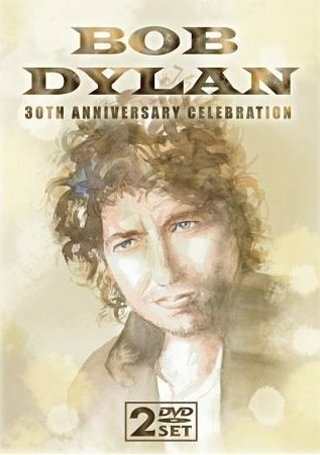 The photograph of Bob shown left was signed by him for Yan Friis after one of the Arena Di Verona shows! 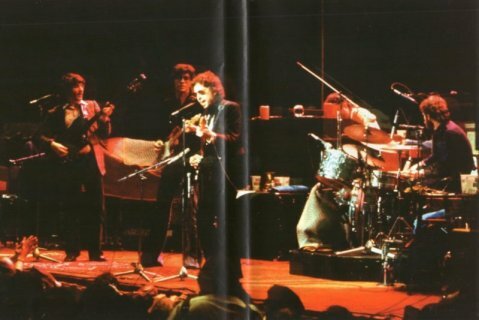 The first two songs on this video were recorded at the Arena Di Verona, Italy, on 28 May 1984, the remaining four on the following night, 29 May 1984. Thanks to Glen Dundas for information and to Yan Friis and Andrea Brillo for information and scans. These Brazilian DVDs are definitely unauthorised, so have been moved here from VHS & DVD 1980s. 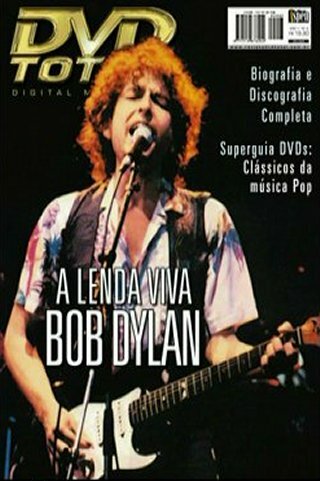 EUA 1986 (Brazil) - a third Brazilian DVD release! 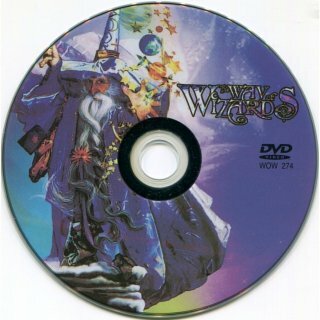 The Glass Music release is a Region 0 NTSC DVD, which can be played in any DVD player worldwide that can convert NTSC signals. 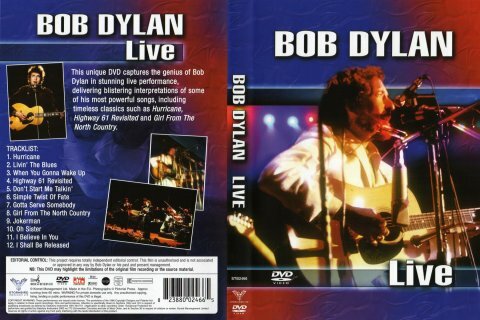 The DVD Total release is also NTSC, Regions 1 & 6 only. 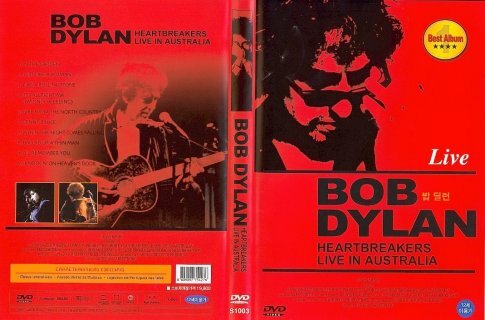 Heartbreakers Live In Australia is the Hard To Handle video on DVD with Dolby Digital 5.1 sound. As far as I know this is its first appearance on DVD, but its legality anywhere else in the world is questionable. 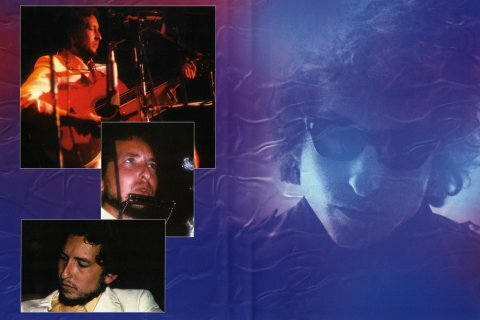 The artwork is from the 1984 Real Live album! Thanks to Dag Braathen for notifying me of this item on eBay and to Keith Venturoni for the scan. 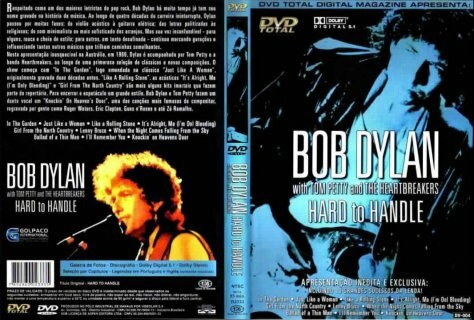 Thanks to Alexandre Froemming from Brazil for information about a different Brazilian DVD release which came with a magazine called "DVD Total", now using the Hard To Handle title and artwork. 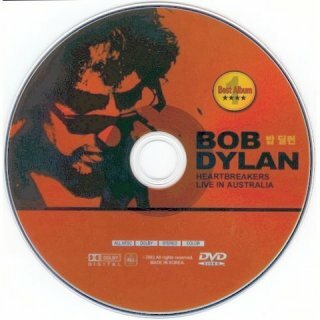 Thanks to Paul Ryan for informing me that www.amazon.com have on sale a version of this DVD just called Live - Australia from Phantom Sound & Vision (no picture available) which is listed as Region 1 only. This is also apparently sourced from Brazil. I find the fact that they're selling it surprising, as I'm sure that in the USA it is regarded as pirated. 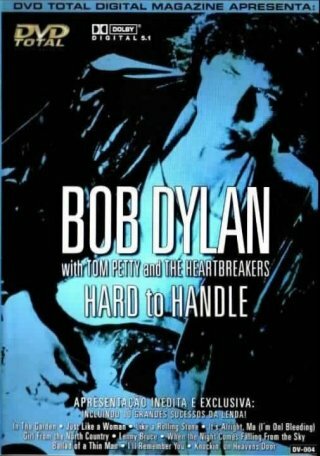 Thanks also to Ian Woodward for information that a Brazilian-sourced DVD of Hard To Handle is being sold in Japan - it could be the "DVD Total" version shown here. Thanks also to Alexandre for copies of these two Brazilian DVDs! 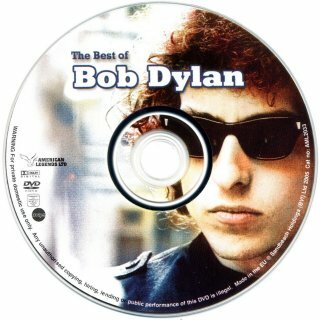 Thanks to Jean-Pol Hiernaux for scans of a 2003 South Korean DVD release being sold on www.amazon.com, the studio is apparently "Best Album 1 ****". 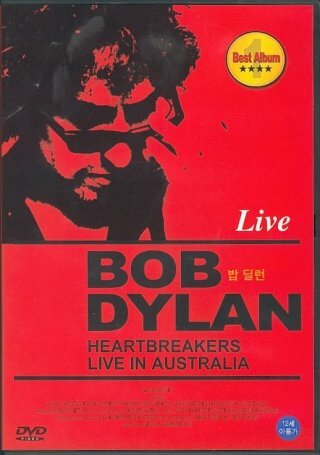 As there is some Portuguese text on the packaging as well as Korean, it's possible the DVD is sourced from the Brazilian release also called Heartbreakers Live In Australia. This clip is on Vol. 3 of this set, "The 1980s". Thanks to Harold Lepidus for information about this release. For the original Bangladesh Apple album release and subsequent CD releases, see 1972. For the original VHS release, see VHS & DVD 1970s. This German DVD may be pirated, so has been moved here from VHS & DVD 2000s Part 2. 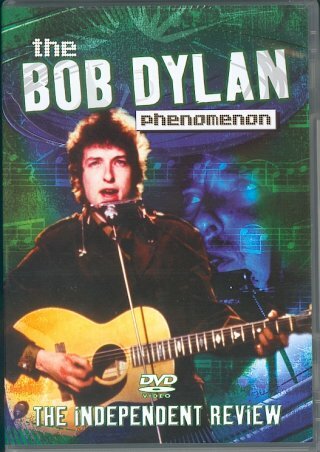 Thanks to Dag Braathen for information about this DVD. 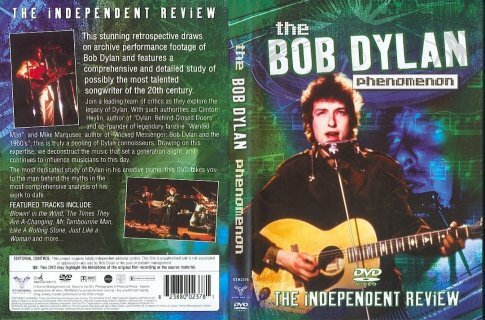 Watchdog DVD 002 (Europe) - front This documentary film (see VHS & DVD 1960s) was edited from D. A. Pennebaker's footage of Bob's May 1966 UK tour by Bob and Howard Alk, but was never shown on TV as intended. 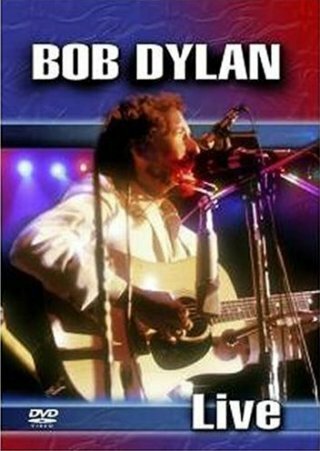 It has had a couple of cinema showings, and excerpts have been included in many videos, both about Bob and about the Band and Robbie Robertson (see below and all other VHS & DVD pages). 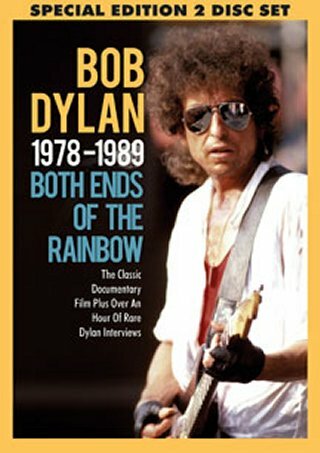 Excerpts also appear in the 2005 Martin Scorsese documentary "No Direction Home: Bob Dylan", see VHS & DVD 2000s Part 3. 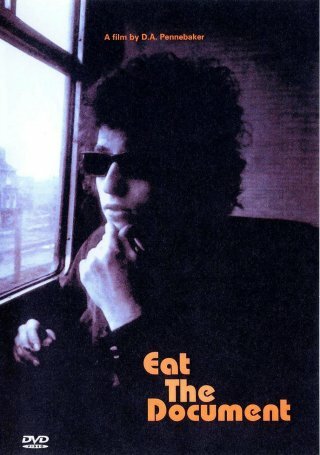 Pennebaker also made his own film of the tour called "Something Is Happening", which reportedly contains more performance footage than "Eat the Document", but this too remains unseen. 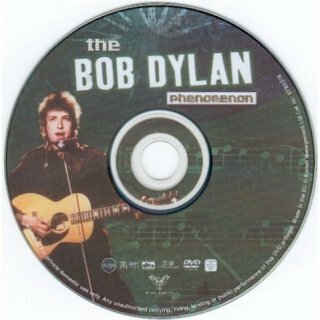 This unauthorised DVD release also contains all the known out-takes, including the out-take with Bob and John Lennon in a London taxi, also see 2007 below. Fantasy COD FNY 003 (Brazil) - front (my copy) This DVD is ostensibly a copy of an American TV broadcast in a series called "Celebrating... " made by American Dream Television and ABC Enterprises. 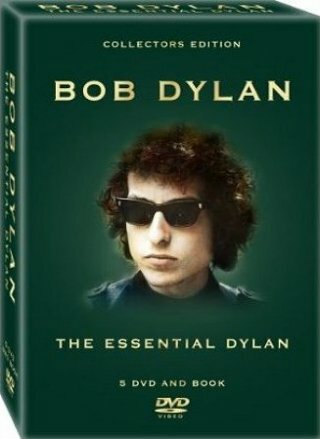 It consists of already available Dylan appearances and there is no commentary. 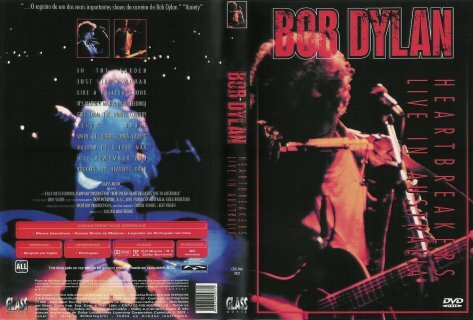 It was re-released in Argentina with different artwork in 2011. Thanks to Alexandre Froemming for the copy of the DVD. 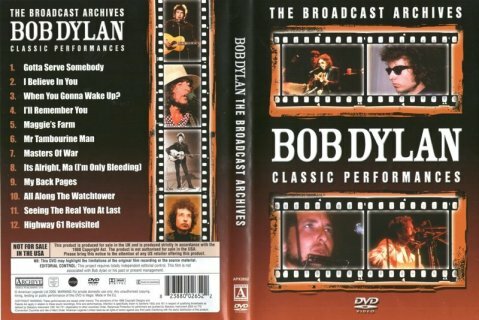 The ABC TV documentary on this unauthorised DVD contains an interview by Bob Brown at Dylan's home in Malibu recorded on 19 Sep 1985 for a special aired on 10 Oct 1985. 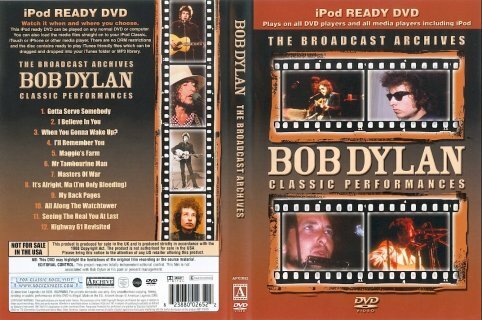 Includes some LA Farm-Aid rehearsal footage, an out-take from Don't Look Back (see VHS & DVD 1960s) and some "making of" clips for the We Are The World song (see VHS & DVD 1980s). 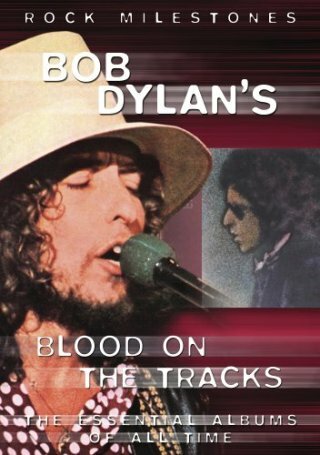 The programme lasts around 40 mins, but the raw footage of the interview (around another half hour or so) is now also available and may be on this DVD. For more information, see "TV Talkin'" . Thanks to Robert Jackson for information. Falcon Neue Medien 0292 (Germany) - picture from www.amazon.de An unauthorised fifty minute compilation of twelve "live and rare" TV performances, including excerpts of the Concert for Bangladesh in 1971, the Johnny Cash Show in 1969, and the Newport Folk Festival in 1965. Thanks to Paul S. Levine and Derek Mankelow for information about this item. 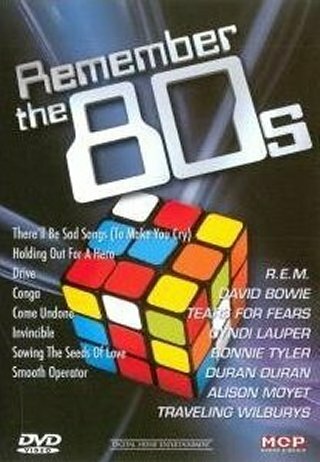 American Legends HIT1981 (UK) - front of box, picture from www.amazon.co.uk This set is definitely unauthorised. 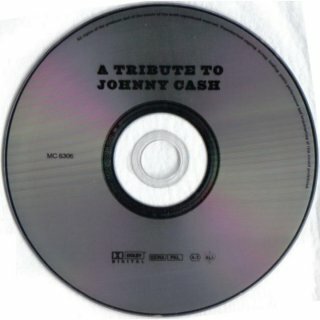 That it is being sold by outlets such as www.amazon.co.uk and HMV is surprising. 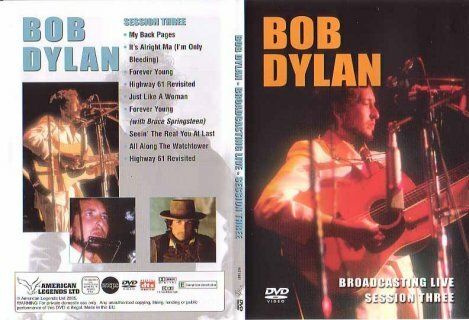 Video of Blowin In The Wind (R-0714) and Man Of Constant Sorrow (R-0716) appeared as bonus performances on the Paramount 2DVD set No Direction Home - Bob Dylan, see VHS & DVD 2005-06. 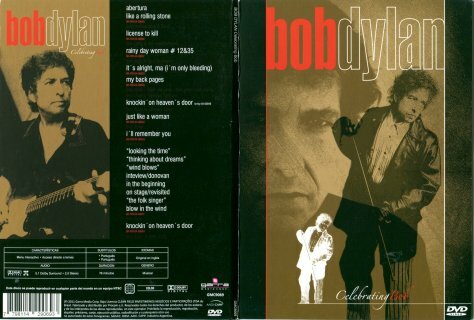 The Ballad Of Hollis Brown (R-1045) from this date has now been released in audio on the Columbia/Legacy/Sony Music Europe 6LP limited edition 50th Anniversary Collection 1963, Dec 2013. Thanks to Martin Barrack and Roger Stewart for information and scans. 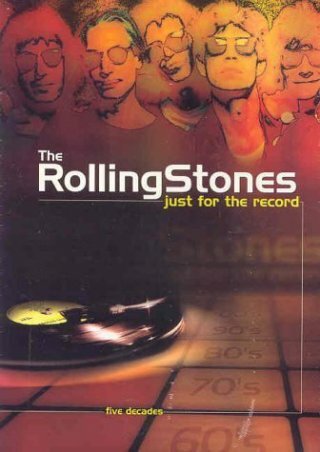 Another unauthorised DVD being sold by www.amazon.co.uk! The performances are. Thanks to Ian Woodward and Franck Faugere for information. 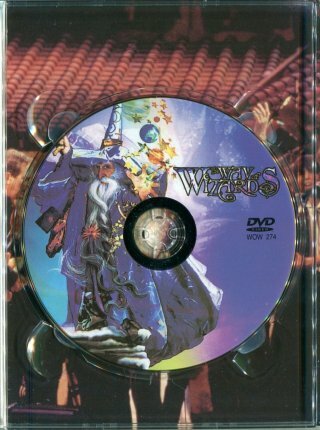 Sergio Mariano Romay has a 2006 DVD release from "The Way Of Wizards" (WOW Entertainment). This is listed on www.discogs.com as a European release, but the writing on the front of the insert is in Japanese (the left-hand vertical text says "30 Tribute Concert"). To confuse matters WOW Entertainment is registered in California, USA. This is apparently a transfer to DVD from the 1993 Japanese Laserdisc release. 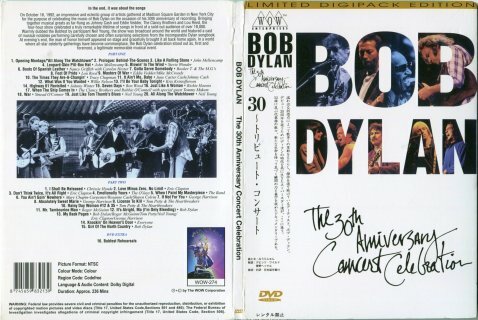 For official video releases of the concert from 1993 onwards, see VHS & DVD 1990s Part 1. 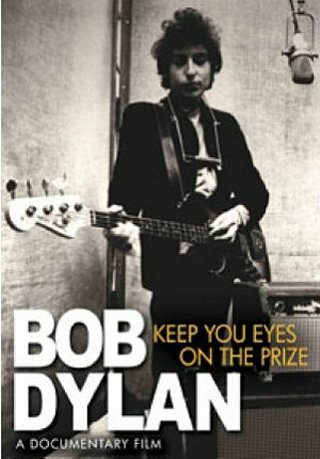 This unauthorised biography was prepared with the assistance of UK Dylan magazine "Isis". 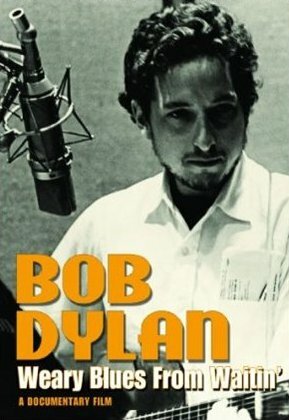 It is the second of three parts, the first being 2004's Tales From A Golden Age: Bob Dylan 1941-1966 (see above). I'll add more information when I've had time to watch it! This PAL DVD is again almost certainly not authorized. The song is actually from 1990, not the 80s! 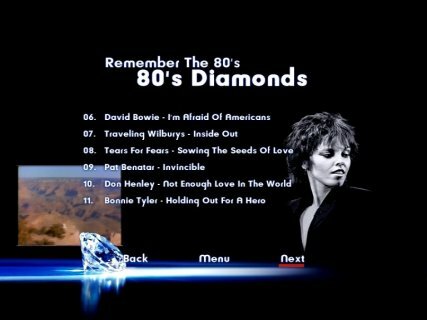 Thanks to Bernard Reyneart for information and screen shots. 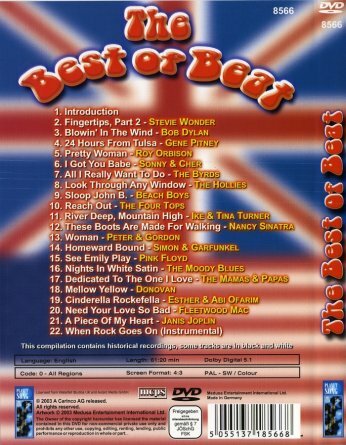 Chrome Dreams DVD IS006 (UK) - front of slipcase (my copy) This unauthorised documentary is said to include rare film footage, etc. 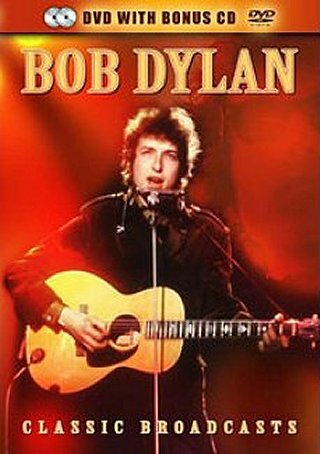 It contains two previously released unauthorised biographical DVDs - Tales From A Golden Age: Bob Dylan 1941-1966 (2004, see above) and After The Crash: Bob Dylan 1966-1978 (2006, see above). 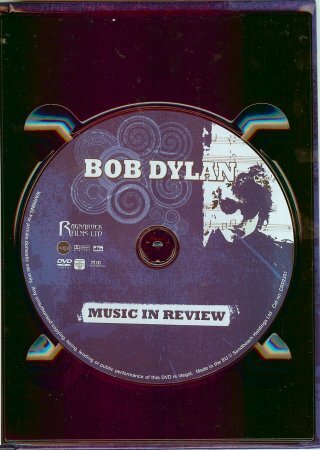 Both DVDs were prepared with the assistance of UK Dylan magazine "Isis". UK DVD release - picture from www.amazon.co.uk This DVD is another in the Rock Milestones series. For Changing Tracks, see above. 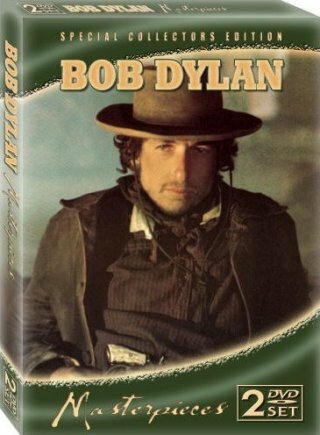 I haven't yet seen it, but the www.amazon.co.uk entry claims it features "rare archive performances" of Hard Times In New York Town; Baby, Please Don’t Go; Lonesome Whistle Blues; Fixin’ To Die; Man Of Constant Sorrow; Blowin’ In The Wind; A Hard Rain’s A-Gonna Fall; The Times They Are A-Changin’; Maggie’s Farm; Mr Tambourine Man; All Along The Watchtower; It’s Alright Ma (I’m Only Bleeding); Highway 61 Revisited and Just Like A Woman. Thanks to Peter Coulthard for finding this release and to Larry Crum for further information. Now released in full on The 50th Anniversary Collection 1964, see 2014. 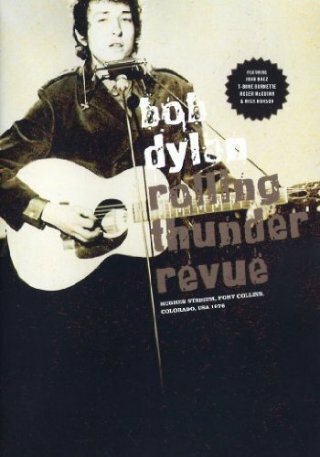 10 A Hard Rain's Gonna Fall - as 9, excerpt from third verse to end of song with talkover (R-0563). 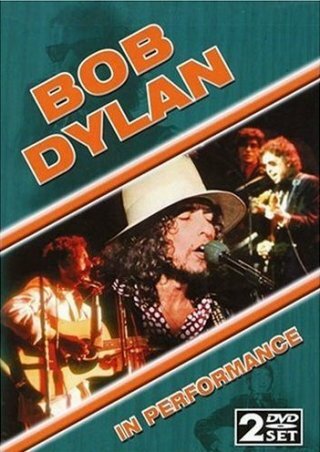 Other excerpts from this performance are on the 1990 VHS documentary John Hammond: From Bessie Smith To Bruce Springsteen (see VHS & DVD 1990s Part 1) and the 1996 VHS/DVD documentary The Beatles Anthology (see VHS & DVD 1990s Part 2). 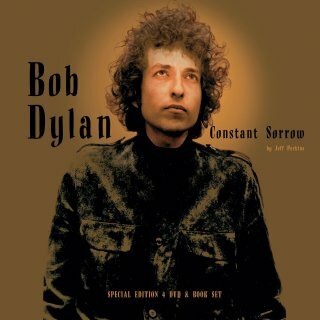 Now released in full on The 50th Anniversary Collection 1964, see 2014. 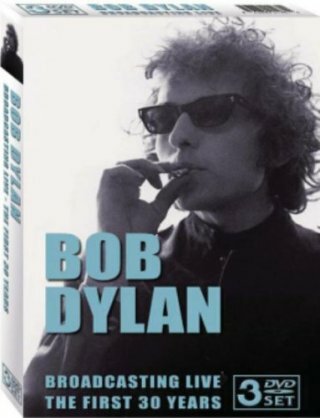 16 All I Really Want To Do - Newport Folk Festival, Newport, RI, 26 Jul 1964 (R-0041). Available in more complete form in the 1966 feature film Festival! (see VHS & DVD 1960s). This PAL DVD is almost certainly not authorised. 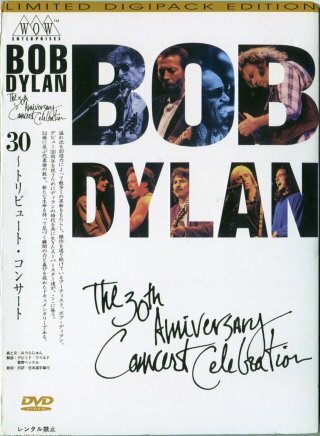 It gives the date of the concert incorrectly as 9 Apr 1999. Thanks to Jean-Pierre Mercier for information and scans. Sandbeach/Ragnarock Films CRP 2331 (UK) - front of book (my copy) This unauthorised release consists of a 72-page illustrated book by Jeff Perkins plus a 15-track DVD. 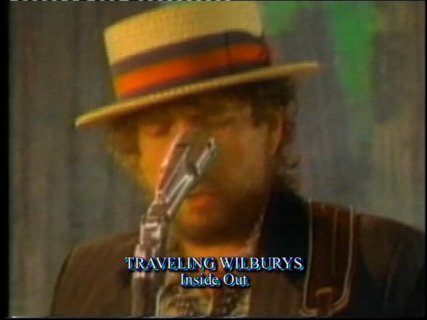 Footage is taken from "Renaldo & Clara", the 1975 "World Of John Hammond" TV Special (for both see VHS & DVD 1970s), and the 1976 "Hard Rain TV Special", none of which are yet commercially available. 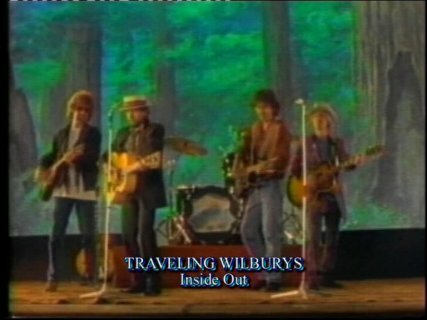 This is a completely different edit of this performance from R-0721 on "Saturday Night Live: The First Five Years", Lions Gate DVD, 2005, see VHS & DVD 2000s Part 3! 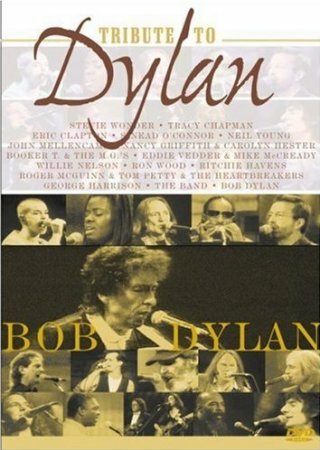 The DVD also contains a performance of Gloria by Patti Smith. 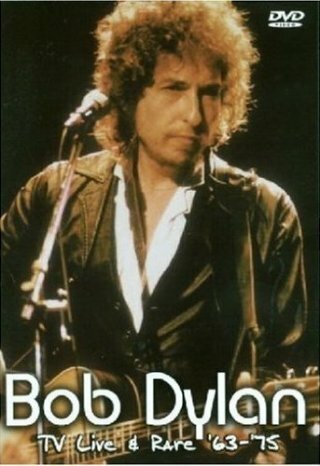 Highway 61 Revisited; Fixin' to Die; Man Of Constant Sorrow; When The Ship Comes In; Only A Pawn In Their Game, Blowin' In The Wind; Talkin' Worlds War II Blues; A Hard Rain's Gonna Fall; The Times They Are A-Changin'; The Ballad Of Hollis Brown; All I Really Want To Do; Mr. Tambourine Man; It's All Over Now, Baby Blue; Like A Rolling Stone; Ballad Of A Thin Man; All Along The Watchtower; Tangled Up In Blue; Idiot Wind; Simple Twist of Fate; Hurricane; Gotta Serve Somebody; Just Like A Woman. 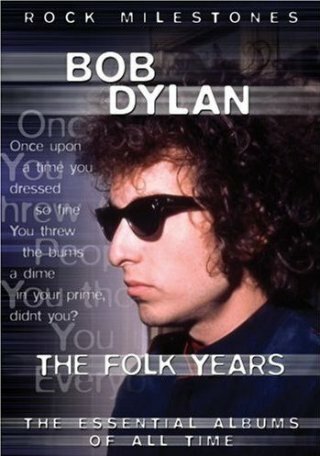 Sources: Folksinger's Choice radio interview with Cynthia Gooding, 1962; Woodstock '94; Newport Folk Festival, 1964; Eat The Document, 1966; Folk Songs And More Folk Songs, WBC TV, 1963; Renaldo And Clara, 1978; Don't Look Back, 1967; The World Of John Hammond, 1975; Rolling Thunder Revue, 1976, March On Washington, 1963; Quest, CBC TV, 1964; Saturday Night Live, NBC TV, 1979. 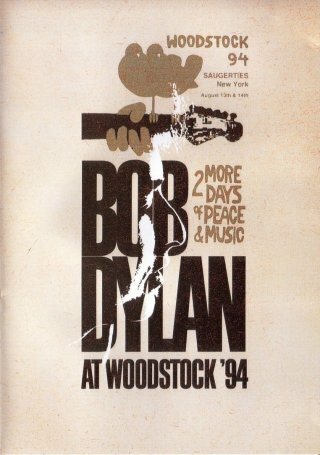 I Shall Be Released - Woodstock '94, Winston Farm, Saugerties, NY, 14 Aug 1994. Thanks to Harold Lepidus for information and Philip van Dijk for scans. 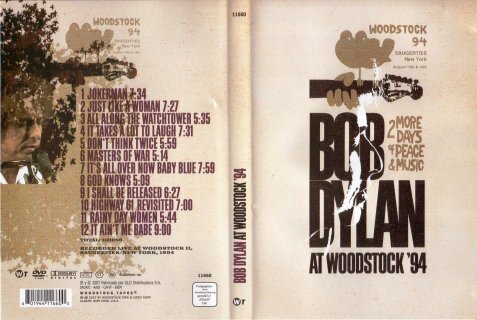 Woodstock Tapes 11660 (Europe) - front scan by Fred Muller This unauthorised DVD contains Bob's full set, only Highway 61 Revisited has been officially released on CD. 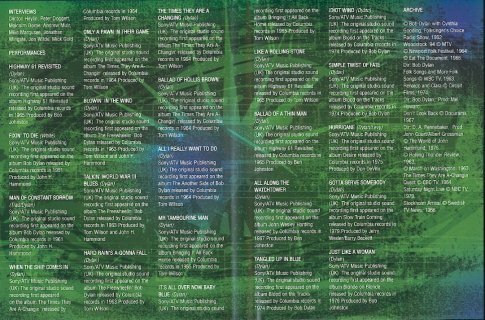 For official radio station discs, the soundtrack album and CD singles, see 1994 and 1995. 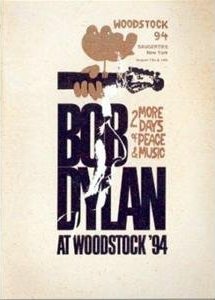 For the official Woodstock 94 VHS video release, see VHS & DVD 1990s Part 1 (as far as I know there is as yet no official DVD release). Thanks to Fred Muller for information and scans. 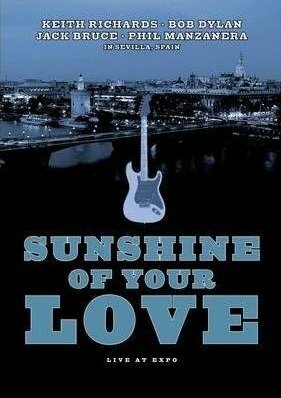 Thanks to Freddy Ordóñez Araque for finding a 2013 release with the same artwork on www.amazon.com. Picture from www.amazon.co.uk Thanks to Sergio Magnacca for finding this unauthorised DVD set on www.amazon.co.uk. 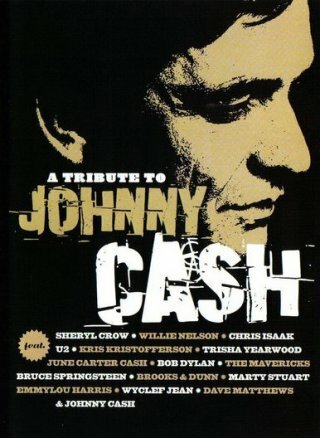 It includes the usual performances taken from TV appearances such as Hurricane; Livin' The Blues; When You Gonna Wake Up? 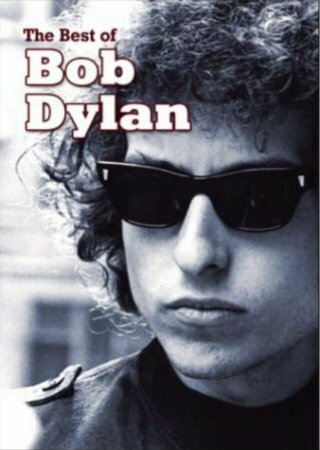 ; Highway 61 Revisited; Don't Start Me To Talkin'; Simple Twist Of Fate and Gotta Serve Somebody. Edgehill Publishing RMS 2661 (UK) - picture from www.amazon.co.uk Thanks to Harold Lepidus and Hans Seegers for information about this set, which is unauthorised. 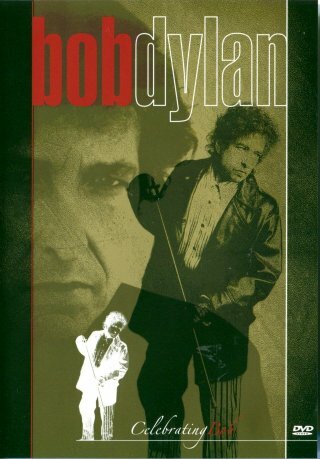 I as yet have no details about its contents, except that it again contains footage of TV broadcasts by Bob. 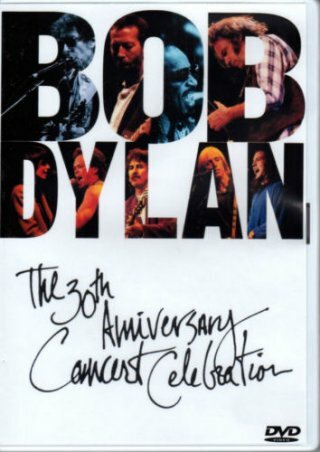 Thanks to Harold Lepidus for news that Spin CDs in the UK are advertising a 2DVD release of The 30th Anniversary Concert Celebration by Classic Rock Direct/Nova/Pinnacle on 7 Apr 2008. This release inexplicably omits 30 mins of the 1990 VHS and laserdisc releases, which were 110 mins. Thanks to Hans Seegers for information that this release is definitely unauthorised. 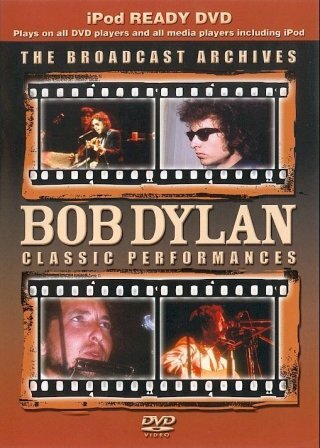 Reviews on www.amazon.co.uk suggest it is a poor transfer from a VHS copy and even omits all the Dylan performances! You are strongly recommended to avoid this release. For the original 1993 releases of this set, see VHS & DVD 1990s Part 1. For the 2014 DVD and Blu-ray Deluxe Editions, see VHS & DVD 2010s. 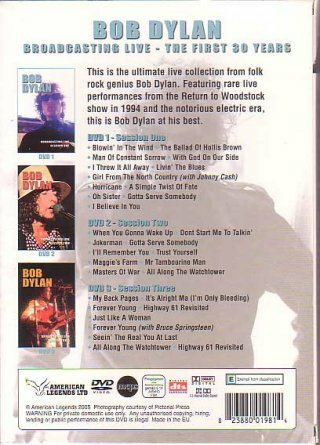 Archive Media Publishing APX2652DVD (UK) - picture from www.eil.com This unauthorised DVD contains TV broadcasts by Bob such as I'll Remember You with Linda Ronstadt, Tom Petty and Willie Nelson on Maggie's Farm, and the 30th Anniversary Concert celebration performance of My Back Pages. 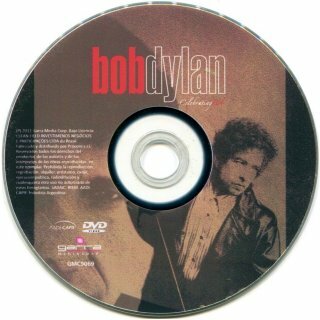 Thanks to Jean-Pol Hiernaux for scans of an "iPod-ready" version that plays in multi-media players as well as DVD players. The white panel on the rear of the insert specifically says the product must not be sold in the USA! Thanks also to Vladimir Krutoshinskij for the scans. 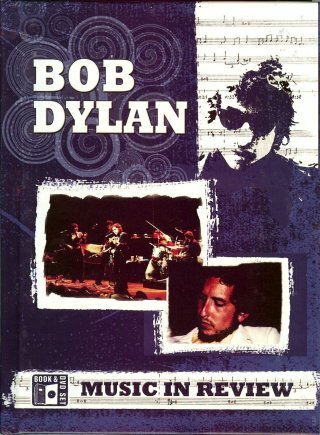 Chrome Dreams CVIS 603 (UK) - picture found by Harold Lepidus This unauthorised DVD produced in association with UK Dylan magazine "Isis" contains performance footage and interviews from Bob's Gospel era and the remainder of the 1980s. 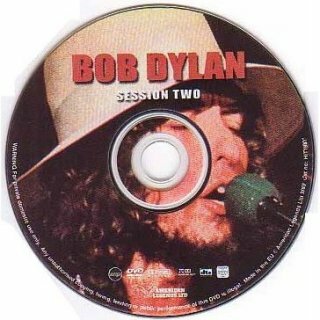 UK DVD release, picture from www.amazon.co.uk Yet another unauthorised DVD of Dylan video performances! Tracklisting: 1. When You Gonna Wake Up 2. Jokerman 3. God Knows 4. Maggie's Farm 5. License To Kill 6. My Back Pages 7. I Shall Be Released 8. Across The Borderline 9. 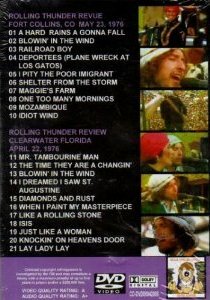 Knockin On Heavens Door 10. It Ain't Me, Babe. This looks like DVD2 of the following release. Thanks to Harold Lepidus for information. 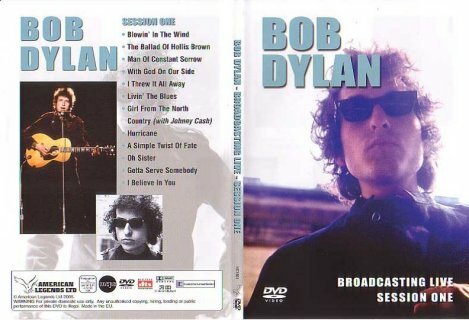 UK DVD release, picture from www.amazon.co.uk Yet another unauthorised DVD of Dylan video performances, including all the ones from the previous release! 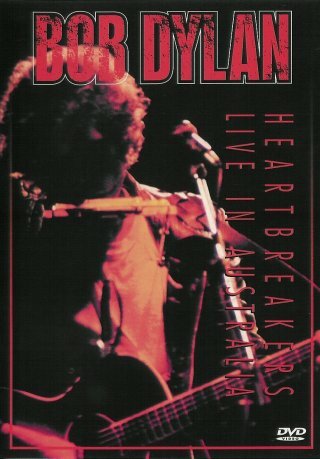 Featuring full length performances of:: All Along the Watchtower, It's Alright Ma (I'm Only Bleeding), Just Like a Woman, Gotta' Serve Somebody, Masters of War, Don't Start Me Talkin', Highway 61 Revisited, Takes a Lot to Laugh, Takes a Train to Cry, Mr Tambourine Man, Rainy Day Women Nos. 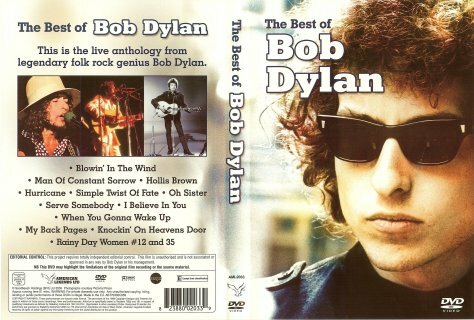 12 & 35, When You Gonna Wake Up?, Jokerman, God Knows, Maggie's Farm, License to Kill, My Back Pages, I Shall Be Released, Across the Borderline, Knockin' on Heavens Door, It Ain't Me Babe. 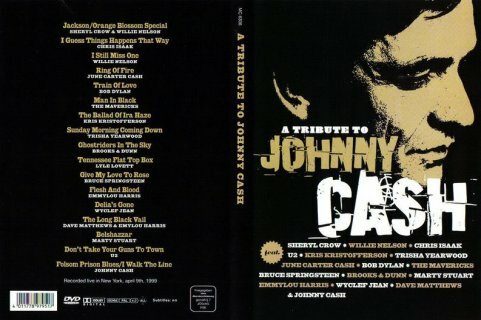 All Along The Watchtower (R-0432); Boots Of Spanish Leather; Across The Borderline (Ry Cooder/John Hiatt/Jim Dickinson); Answer Me (Gerhard Winkler/Fred Rauch/Carl Sigmann); Shake, Rattle & Roll (Charles Calhoun) [shared vocals with Keith Richards]; I Can't Turn You Loose (Otis Redding) [Bob plays guitar with ensemble]. For an official Global Satellite Network radio broadcast of part of the show containing R-0432 and R-0433, see 1992. 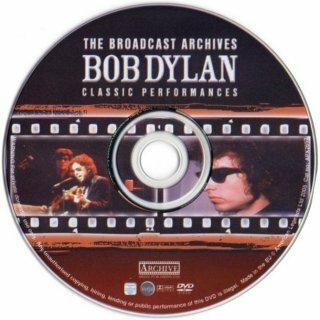 Front picture from www.amazon.com This unauthorised DVD release includes 10 performances from the broadcast "Hard Rain" TV Special recorded at Fort Collins, CO, 23 May 1976 (see VHS & DVD 1970s), and eleven performances from the first "Hard Rain" TV Special which was never actually broadcast, recorded at the Bellevue Biltmore Hotel, Clearwater, FL, 22 Apr 1976. 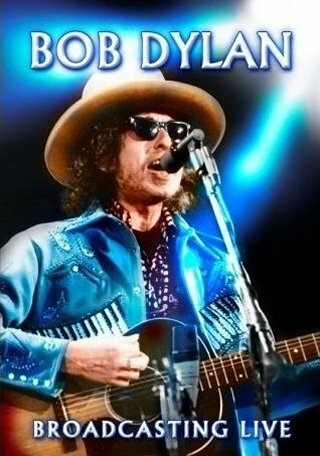 The "Hard Rain" TV Special on this DVD was apparently recorded from Japanese TV, because there are Japanese lyric subtitles during the performances plus red text boxes containing commentary in Japanese which float across the screen! This DVD is not recommended. Thanks to Dennis Rooney for information. Classic Rock CBX 2991 (UK) - picture from eil.com This unauthorised 5DVD set in a box includes a book. 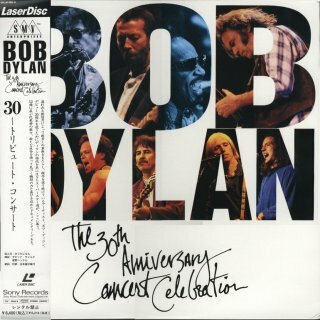 The video material includes The 30th Anniversary Concert Celebration, but I assume this is of the same quality as the 2008 Classic Rock offering listed above. 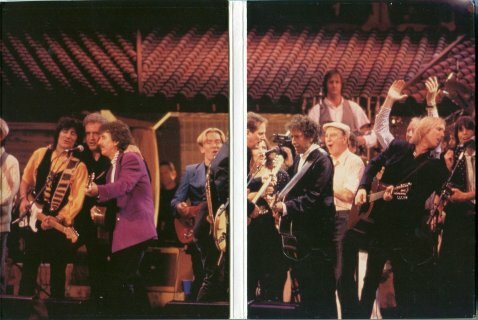 For the original 1993 releases of The 30th Anniversary Concert Celebration, see VHS & DVD 1990s Part 1. Pride PG2DVD120 (USA/UK) - picture from MVD Entertainment Group Thanks to Clint Weiler of MVD Entertainment Group, Oaks, PA, for information about this two disc set which has the 2008 DVD listed above plus a CD of interviews. Thanks to Chrome Dreams in the UK for the promotional copy, which comes in a three panel digipak. 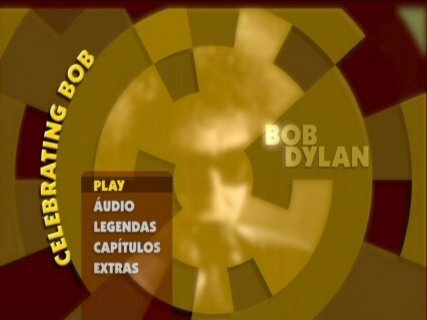 Silver & Gold SGDVD030 (UK) - picture from eil.com This film traces Bob's early career up to the controversial world tour with the Hawks in 1966. 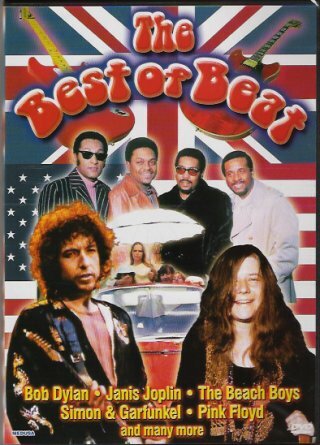 It includes interviews with people such as Mickey Jones (the tour drummer), English folk singer Martin Carthy, and contributions from Derek Barker, C P Lee and Clinton Heylin. 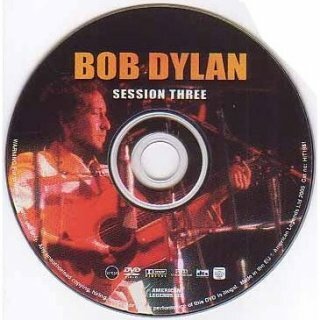 Picture from www.amazon.co.uk I have no information yet as to this DVD's contents, but it lasts only 45 mins. 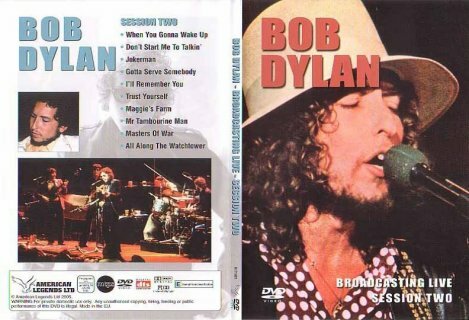 Bob has performed this Hank Williams song only once, with the Rolling Thunder Revue at the Civic Center, Lakeland, FL, 18 Apr, 1976, the first public performance of the 1976 leg of the tour. Picture from www.amazon.co.uk This unauthorised set includes a book by Jeff Perkins and four DVDs. 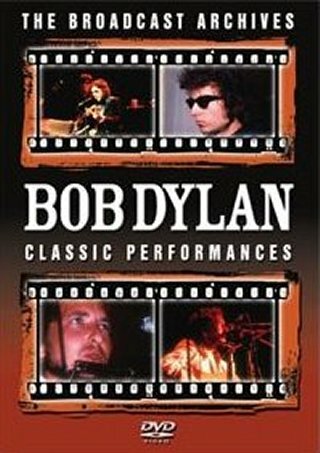 Thanks to Derek Barker for information that the DVDs are from Classic Rock with probably most of the material included in the 5DVD set The Essential Bob Dylan from 2009 above.